UPD: In reply to numerous requests from the potential fellows we have modified the DEADLINE TIME to 23.59 CET, 31st of January! 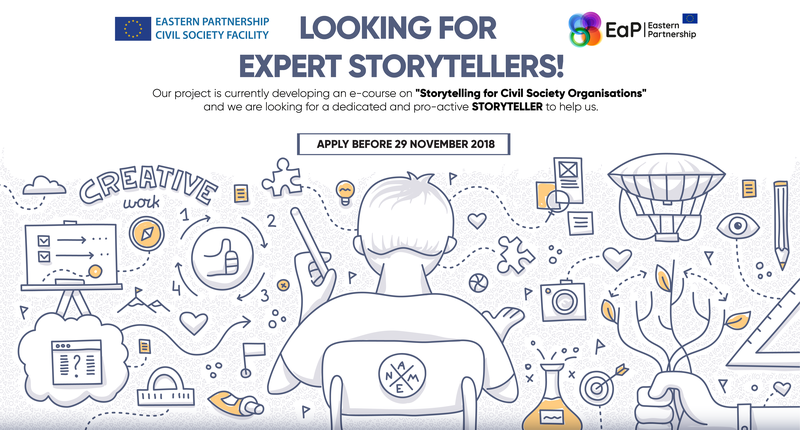 We are happy to announce our new Open Call for Applications under the 2019 Eastern Partnership Civil Society Fellowship Programme! 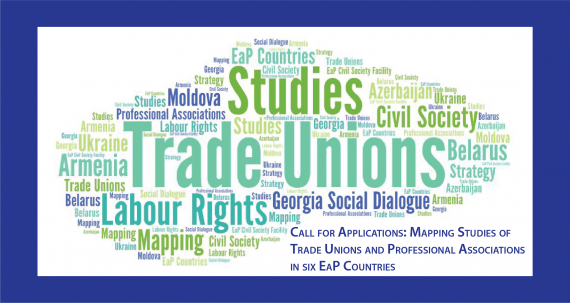 If you are a young civil society activist from Armenia, Azerbaijan, Belarus, Georgia, Moldova or Ukraine with new ideas for improving your community or country and you are looking for opportunities to improve your leadership skills – don’t miss out and apply before January 31, 2019. We will select 20 talented new fellows each year until 2020 and you should not miss your chance! 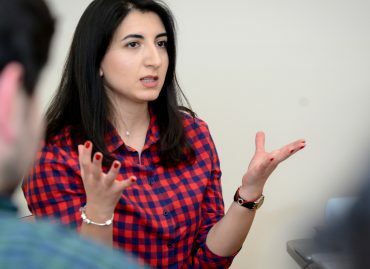 The fellows have a unique opportunity to take part in trainings and other capacity building activities, as well as implement individual projects of up to EUR 5,000. 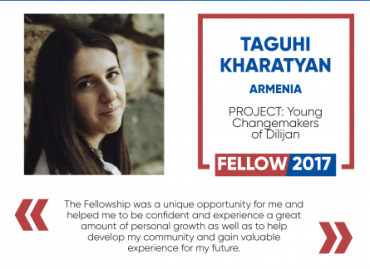 In addition, the fellows become part of an international network of like-minded individuals and have the opportunity to attend various high-level meetings and interact with decision-makers in their countries, as well as those from the EU institutions. Today the network of fellows comprises 40 young people (25 women and 15 men) aged between 20 and 36 from the six EaP countries. Their Fellowship actions cover a range of priority areas addressing the needs of local communities: youth work, leadership development, anti-corruption actions, capacity-building for CSOs, development of policy papers, educational materials and e-tools for better governance and many more. If you want to find out who our current fellows are and what they are doing, please visit the fellows’ webpage available here. 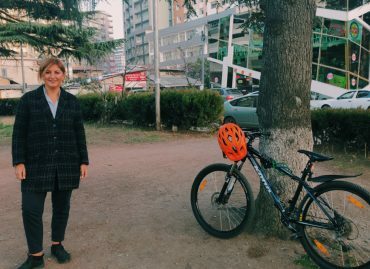 Through the Fellowship Programme, the EU is investing in the development of young civic activists or civically minded individuals from the region,who display an interest and ability for taking up leadership roles in their countries. Developing leadership capacities and skills of future civil society leaders is one of the commitments made by the European Union in its policy on achieving ’20 Deliverables for 2020. Focusing on key priorities and tangible results’. 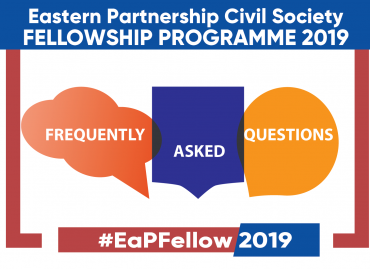 The Eastern Partnership Civil Society Fellowships are an integral part of the European Union’s Eastern Partnership Civil Society Facility – Regional Action project. 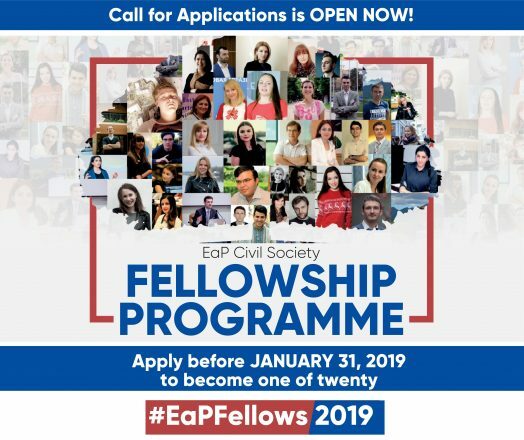 If you want to apply, please fill in the application form via our online application system or send us your application by email (Annex A- 2019 Fellowship Application Form) to [email protected]eapcivilsociety.eu before January 31, 2019. Please note that we prefer receiving applications online. IMPORTANT: Please convert all files you submit into PDF format before attaching them to you application form! Please check the eligibility criteria before applying. When submitting application applicants must follow all instructions contained in the guidelines and ensure submission of a complete application. 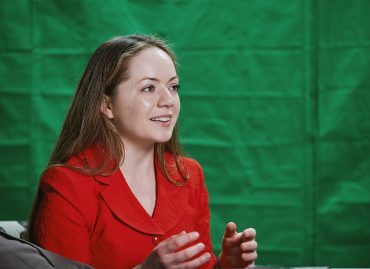 Failure to submit the required information and documentation within the deadline specified may lead to rejection of applications.